What is the Business Licence Information Service? The Business Licence Information Service (BLIS) is a free service that provides details of all licences you may require to operate your business in Australia, including Commonwealth, State/Territory and Local Government requirements. Whether you are running a business or thinking of starting one, BLIS will help you to find out easily which licences and permits you need for that business – or any other activities related to that type of business. What Licences are Required for Property Managers? So, you’d like to begin a career as a property manager? Being a property manager means acting as a third party who is hired by a landlord or property investor to manage the day-to-day operations at a rental property. Without the work and support of a residential property manager, the industry would fall flat. Vital in making sure a property holds or increases its value, their responsibilities are hugely varied, depending on the agency. 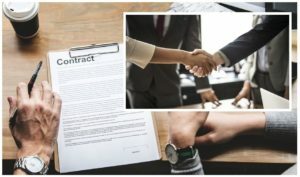 Working as the communicator between the owner of the property and the tenants, the property manager will deal with all tenant-related issues, acting as a representative for the landlord. Meaning keeping the owner informed of vacancy rates, business policies, legal issues and any maintenance and repairs that are needed on their property. In charge of keeping the property in respectable condition as well as the surrounding grounds. The essential duties can include dealing with repairs, breakages and the general maintenance of the grounds, entrances, and gardens. Do you tick all those boxes? Great! Let’s talk about how one becomes a property manager in Queensland. You must earn a qualification before you can become registered to work as a property manager in Queensland. At the end of the article, we’ll list a collection of schools one can attend to obtain the necessary qualifications. There are multiple qualifications for you to choose depending on your ultimate goal. If you are only wanting to work as a Property Manager for an already existing property management agency then you can obtain the Real Estate Property Manager or Salesperson Registration Certificate. We spoke with James from an Airbnb management compnay in Brisbane – Breezybnb. He said that there has been an influx of people looking to get into the space thanks to the sharing economy platforms like Airbnb. “Airbnb has made traditional property management evolve from just real estate to a hospitality service.” He believes that if traditional letting agents don’t embrace the change, a large number of their premium properties will be lost. 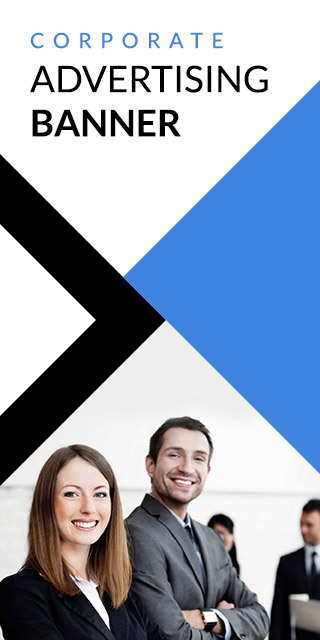 If you’re wanting to start your own Property Management Agency or Real Estate Agency then you can study for the Real Estate Agent Licence Course. If your goal is managing an entire residential building then you can earn a Resident Letting Agent Course. Visit the OFT site to confirm you meet the eligibility for the application. And that’s that! Once your application has been sent it can take between four and six weeks for the OFT to process your application. Once successfully processed, you are now registered as a Queensland property manager! Well, now you’re ready to begin your real estate career! Most, if not all property managers have some experience as real estate agents. However, this is not always the case. And if you’re applying for a property manager position then you can make clear that property management has always been your goal, not property sales or letting! What you will have going for you is due to the large apartment boom across Queensland (and Brisbane in particular) – trusted property managers are now in massive demand, with a serious shortage within the property industry. 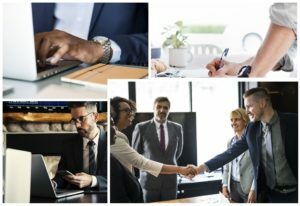 2019, as it turns out is a great time to start your career! Like all job opportunities, the onus is on you not to just sit back and wait for a job opportunity to come to you, you need to be proactive. Identify the companies you would like to work for and approach them directly. You can demonstrate the fantastic property management skills you have obtained via your course by calling prospective agencies, talking to them over the phone and email and going and seeing them in person! To work as a registered air conditioner installer in the state of Queensland, you need to be licenced. 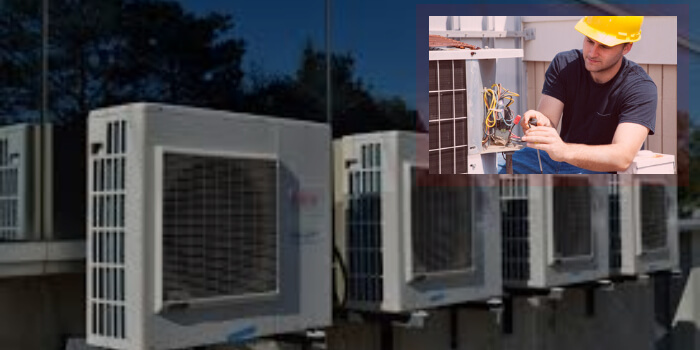 However, as there are different types of air conditioner systems requiring different skills, there is a multitude of licences available, and you need to obtain each one dependent on the level of work. The main pathway is through the ARC (Australian Refrigeration Council). What Does an Air Conditioner Installation Expert Do on a Day to Day? We spoke with Brett Shipley from Air Con Sunshine Coast about what his workday usually involves and what apprentices can expect working as an air con installer. What this means: you are able to handle a refrigerant for any work on air conditioning equipment fitted to the cabin of a motor vehicle. What this means: you are able to handle a refrigerant for the installation and decommissioning of any of the following: a single-head split system air conditioner of less than 18kW, a 2-part hot water heat pump of less than 18kW, a 2-part swimming pool heat pump of less than 18kW. Licence name: TL000 – Refrigeration and air conditioning trainee licence. 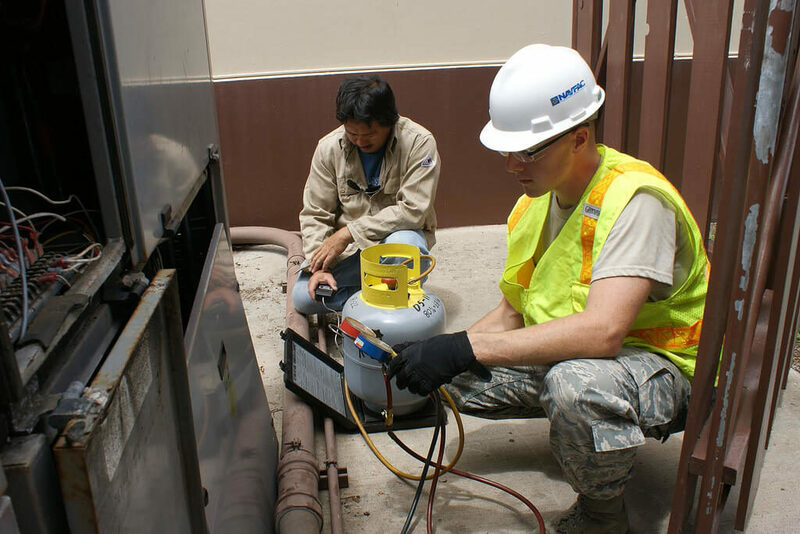 What this means: you are able to handle a refrigerant while undertaking training and/or assessment in a classroom setting and at your workplace under supervision. The supervisor must be the holder of a licence that entitles them to engage in work for which the licensee is being trained. This licence is valid for the period of training, which can be up to one year. What this means: To handle refrigerant in a classroom setting only. The licensee cannot handle refrigerant outside the classroom setting. This licence is valid for a period of training which can be up to 1 year. UTE30999 Certificate III in Electrotechnology Refrigeration and Air conditioning. If you’re trained up and looking for work – Contact Brett from Air Con Sunshine Coast – He’s looking for help with his business in the Caloundra area. 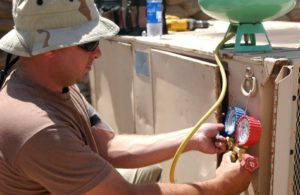 Becoming a certified plumber can open up many career opportunities and offer a variety of benefits. The path of becoming an accredited plumber varies considerably from one city to another. However, few requirements are similar in most areas. To acquire a plumbing certification in all states in Australia you need to have industry recognized qualification which includes a Certificate III in plumbing, a completed apprenticeship, and a licence and registration with the appropriates state building authority (for example Victoria) . Even though it is possible to get work even without having completed your certificates, you may be restricted with the jobs you can handle thus not able to earn as much money as many qualified plumbers earn. Depending on the environment you wish to work in, commercial or domestic usually dictate what qualifications you will require to succeed. plumbing courses covers every major area of plumbing necessary to help you handle any plumbing work. Plumbing works may also cover workplace health and safety practices since it can be dangerous sometimes and that is why you require professional plumbers. First, getting your high school diploma is the first step on your way to becoming a qualified plumber. Basic knowledge of knowing how to write and read math and science is very critical when pursuing any profession in this industry. Having advanced knowledge of these subjects is much necessary for plumbers since their profession involves gauging water and making accurate measurements. Depending on the state you live, most likely you will be required work with an experienced plumber for some hours as an apprentice. The duration of apprenticeship can vary, but it can take even up to five years. By enrolling in a technical course, you can be able to finalize your apprenticeship earlier. Due to the explosion in population growth, there is a lot of work in Queensland. Finding a certified plumber in Gold Coast regions like Burleigh and Broadbeach would be a good place to start looking. In some states, you will be needed to pass a practical test, written exam or both to earn a license in plumbing. During the training, you are taught in depth how to connect water supplies, fix domestic appliances, find faults, attending emergency call-outs and many other things. 3 common ways for someone to consider this option – Distribution, Franchising, Licensing. example, you will place limits on the advertising (to ensure that your product is not misrepresented). insurance when the title (ownership) of the goods will pass. use their business idea, its name and brand, trademarks etc and so has control over the franchisee. is an initial payment for purchasing the franchise (i.e. the right to use the brand name etc). restrictions, and clearly define the level if support. licensee the right to use the intellectual property rights, actually still retaining ultimate ownership. etc will be much less but there is usually a very limited or no level of support offered to the licensee. and as applicable product liability indemnity.